According to my grandfather, it cost him $26 (plus the cost of a new car) to get to get to see his first grandchild face-to-face. That grandchild just so happens to be me. I suppose, like another the first grand baby, my arrival was a pretty big deal to each of my four grandparents. My maternal grandmother drove from TX to NC to be with my mother for the big event. She arrived before my expected due date, September 1st. But apparently I wasn’t in any sort of hurry. The late summer days slowly slipped by, while everyone watched anxiously, wondering if I might be born on my mother’s father’s birthday (September 5th), but that fine day came and went without any indications that I wanted to be born. 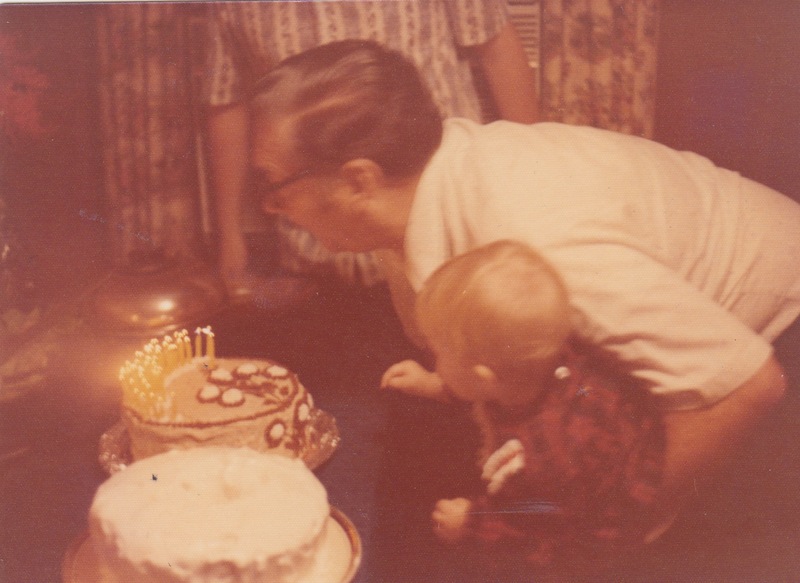 Everyone agreed that I surely wouldn’t share a birthday with my father’s father (September 19th), but after a while it the chances were getting better that our birthdays would be very close after all. Then it happened. On Sunday, September 17th, at 11:28 am, I took my first breaths. It wasn’t long before my dad called to share the news with his parents. According to my grandfather, he and my grandmother had been to church that morning, and had just returned home, bring back some friends to share their Sunday lunch. The weather was nice that everyone decided to visit and eat lunch on the patio outside. My grandmother, who must have had a sixth sense regarding my arrival, insisted on leaving the door to the house open just in case they should receive a phone call announcing my arrival. I can only imagine her delight when the ringing of the telephone interrupted her lunch. And, of course, like any grandmother, she could hardly wait to hold that new grandbaby in her arms. Unfortunately, they couldn’t just make a quick trip over to the hospital. My dad’s parents lived in rural northeast Louisiana, and my father, who was finishing up his army days, was stationed at Ft. Bragg, NC. 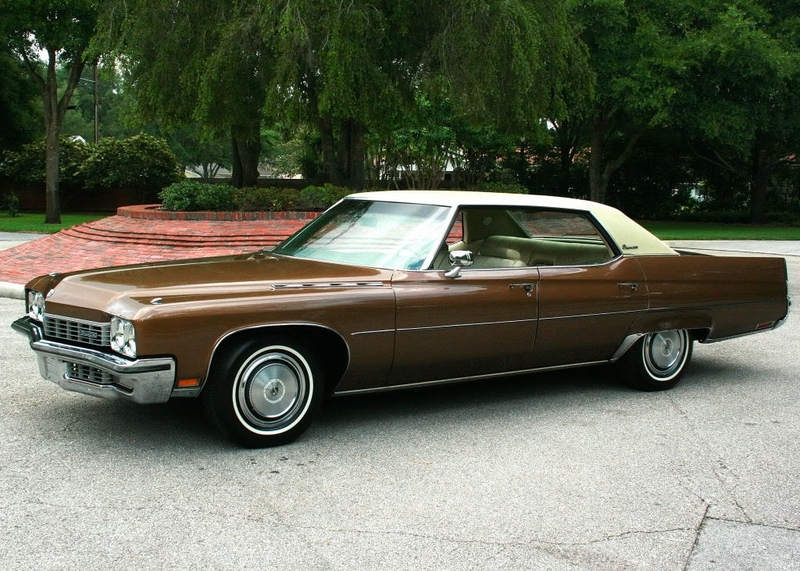 A 1972 Buick Electra Sedan … not sure what sort of car my grandfather bought that summer, but he has always had a soft spot for a Buick. A few weeks before I was born, my grandparents went car shopping. I wish I could remember all the details of what type of car it was and the asking price, but I don’t. I just know that they determined it was time for a new car and my grandmother had picked out exactly what she wanted, from all the extra features right down to the color of the paint. But in order to get exactly what she wanted, the new vehicle had to be special ordered. The new car still hadn’t arrived at the dealership by the time I was born. A day or two later, my grandparents went over to talk to someone at the car dealership to see about how much longer it was going to take, as they didn’t want to leave on their trip in their old vehicle. Unfortunately, no one at the dealership knew with any certainty when the new car might arrive. However, the dealership owner did have another car of the same make and model. The only difference was the color … and suddenly that didn’t seem to matter nearly as much. Go on now… y’all go see that new grand baby. We’ll get it all these money details worked out with the bank when you get back. Away my grandparents drove in their new car, without so much as a bill of sale or even a set of temporary paper tags. My grandfather made it as far as South Carolina without any trouble. However, he and my grandmother had trouble getting from South Carolina to North Carolina. As they were traveling through some small town, a policeman pulled my grandfather over for speeding. But once he got them on the side of the road and noticed the lack of tags, the fact that there was no registration or bill of sale, the cop became convinced he had caught a couple of criminals. By some strange coincidence, that very day in a nearby South Carolina town, a middle-aged couple had robbed a bank. The robbers had fled in an untagged car of the same make, model and color as the car my grandparents drove. When the cop saw the speeding car without tags that matched the description of the getaway car, he immediately assumed that he was about to capture the wanted bank robbers. It wasn’t long before my grandfather found himself standing in front of a judge, the cop wanting to arrest him for bank robbery. My grandfather explained that the only thing he was guilty of was speeding, and fortunately the kind-hearted judge listened. My grandfather knew exactly who to call, and in short order had a local lawyer talking with the judge, explaining that not only was my grandfather an upstanding citizen, but that he was a deacon at his church and an respected member of the community as well. A couple of hours later, my grandparents had crossed over into North Carolina. They were nearing Ft. Bragg when suddenly their new car got a flat tire. This time, however, the cop was only wanting to help. In fact, the cop stated that law enforcement in North Carolina had been informed about my grandparents and told that they were not the bank robbing couple. He again apologized for the earlier mix-up, insisted upon changing the tire himself and then escorted my grandparents the rest of the way to the entrance of Ft. Bragg military base. 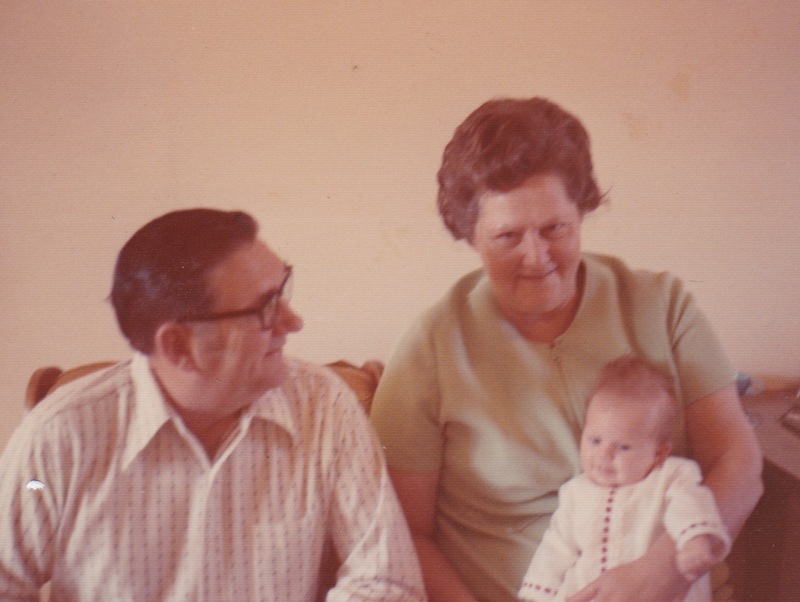 Not the first time my grandparents got to see me, but the second … Thanksgiving 1972. Every so often, my grandfather will remind me of all the trouble he went through just to get to see me for the first time. It’s a story he enjoys telling and one I enjoy sharing as well, as it shows a more Mayberry type of lifestyle that has all but disappeared over the last 42 years. Today, as I have written about my grandfather, he is in the hospital, severely ill from a kidney infection. It’s definitely been a touchy situation, as fluid builds around his heart due to the impaired kidney function. It’s hard to see him so sick, and yet I have hope of his full recovery … that in a few days he will be back at home, driving his car, going to his office and attending church. So if you have finished reading this, I’d like to ask if you might pray for my grandfather and for his recovery. There is nothing that I’d love more than to celebrate our birthdays together for a few more years to come. I celebrate my first birthday while Papaw celebrates his 50th … the first of many birthdays we have celebrated together. Such a sweet and funny story. 🙂 Saying a prayer for your grandfather. Thanks, Johanna! I am praying today shows continued improvement for my granddaddy, just like yesterday. Loved another “adventure” in the life of your amazing family. peace and that his family may enjoy his presence for a time.